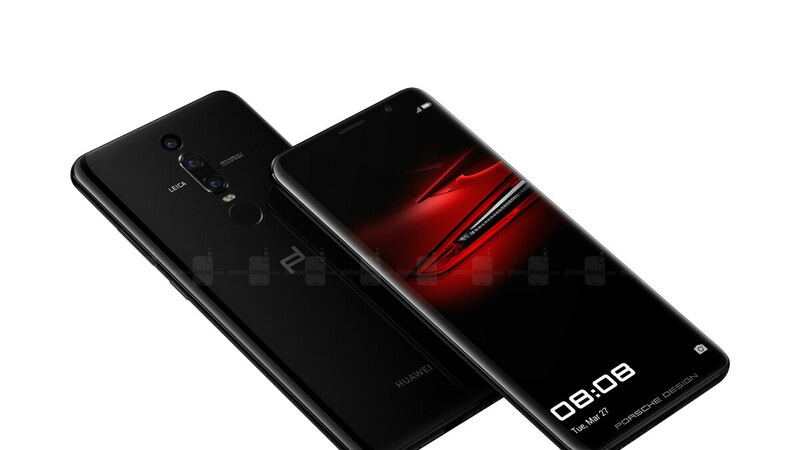 Porsche Design has confirmed that it specifically told Huawei not to include a notch on the Huawei Mate RS Porsche Design. The two companies have worked on a number of Mate-branded devices over the past two years starting with the Mate 9 Porsche Design. More recently, however, their partnership created the Mate RS which was announced alongside the Huawei P20 line back in February and noticeably lacked a notch. Now, in an interview with Digitial Trends, one of Porsche Design's key people explained why. Speaking of the phone, Porsche Design’s Design Director, Christian Schwamkrug, dubbed the project between the companies the “most intense” yet, explaining how the brands had discussions over every detail. Interestingly, it appears he was adamant from the start that no notch would be featured. After all, according to him, the display feature interrupts the overall design of the smartphone. Instead, in order to improve the symmetry of it, the team of designers at Porsche Design opted for a large 6-inch OLED display that was curved on either side, much like Samsung’s flagship Galaxy S9 series. In addition to the front panel, the company also had serious discussions with Huawei in regards to the amount of mirroring on the rear. Unfortunately for the brand, it didn’t entirely get its way when it came to the fingerprint scanner. The device oddly features two fingerprint sensors and it appears this was something Huawei ultimately chose to do. After all, Porsche Design pushed for the inclusion of the new in-display fingerprint sensor tech but, as Huawei pointed out to the brand, the technology is still pretty new and consumers may not feel as comfortable with the sensor. Because of this, a secondary scanner was placed on the rear, although the placement was carefully chosen by Porsche Design in order to improve the overall symmetry. The brand also pushed for the best possible user experience, including features such as 512GB of internal storage and 6GB of RAM. Furthermore, Porsche Design carefully crafted the UI, adjusting everything down to the icon sizes and fonts. Ultimately, though, this level of precision comes at a cost, with the device being sold for $1,880 in the US. I can definitely see Porsche Design's point of view. A notch is a design compromise, as it literally disrupts the natural shape of displays. I wouldn't like to look at a design compromise every single day while using my flagship smartphone. It's also pretty sad when brands create smartphones with notches, which means they compromise the display and design in order to chase screen-to-body ratio, and yet they end up with a worse screen-to-body ratio than devices which have an uncompromised display like the Galaxy S9's. I will feel exactly the same, as i'm not going to change my mind based on what a singular brand does, unlike others, who are so big "loyalists" that they even have the brand as their profile picture. I dislike the notch, as it is a design compromise that doesn't even remotely conform to the display standards, as it completely breaks them. The notch is simply a half-assed attempt at creating a device with no bezels. You should only aim for something like that once you have the technology and expertise to achieve that, instead of doing it half-assed with a notch. The moment that technology matures and its possible to create a smartphone with no bezels, then the notch is going to dissapear quicker than it came, as that is the actual goal. This will look good with my Porsche Macan turbo s.
Good decision! You laugh at me because I am different; I laugh at you because you are all the same! In other words, don't copy Apple, copy Samsung instead! The p20 is an iPhone X clone, while the RS is an S8 clone. 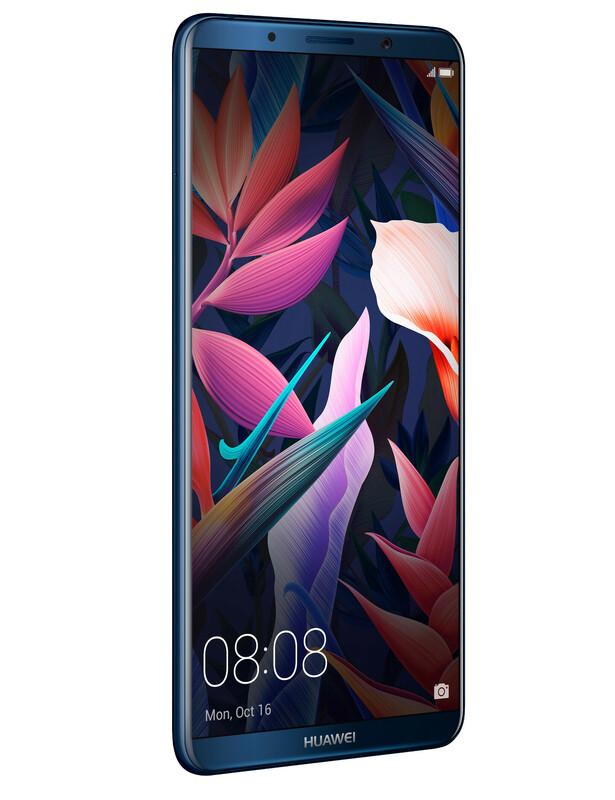 Never thought Huawei would go back to copying other manufacturers when they released the gorgeous Mate 10. The Mate 10 was kind of a Samsung copy as well, imo. I don't see the resemblance, it looked different and unique. Not really no. I can easily tell which is which and that's enough for me to realise that they don't look alike. At least that's how I see things. When will you not be able to tell smartphones apart from major brands, when you're a smartphone enthusiast? That will never happen. If that's the way you look at it, then how is the P20 an iPhone X clone? If you just let me look at those 2 devices for a split second, then i'm easily going to be able to tell you which is which. This isn't my opinion, but i'm just trying to show your thought process using another pair of smartphones. 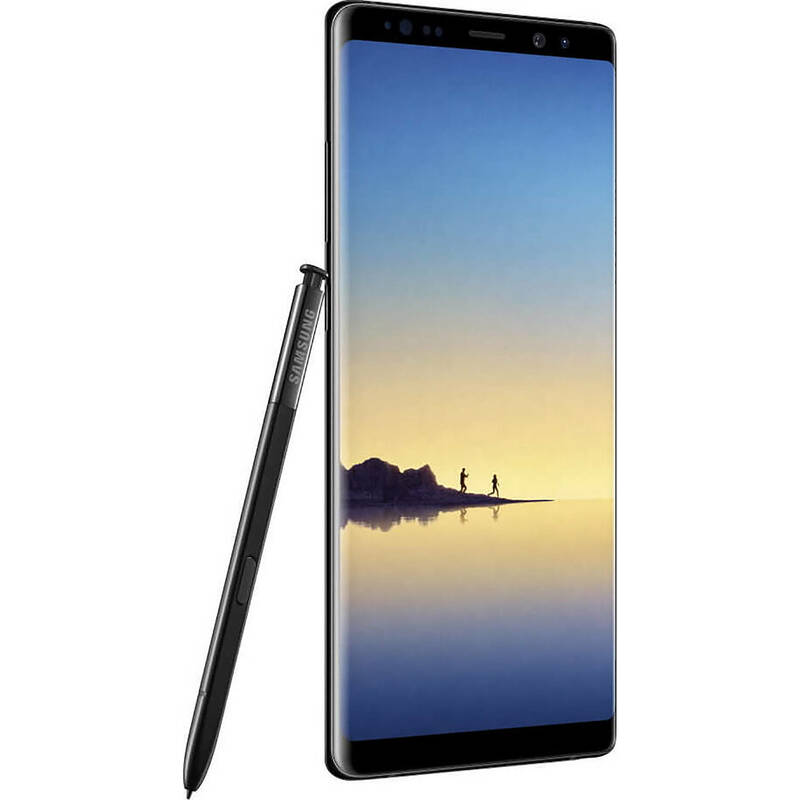 How does it look like the Note 8? You must be delusional. The Mate 10 has a screen with quite sharp corners. Note 8 has rounded corners. The Note 8 display is curved. The Mate 10 display is flat. You certainly are Techies, a blind Samsung fan just like those blind Apple fans. If you think that because the Mate 10 has a display on the front with small bezels there for it looks like the Note 8 then God help you. After reading his final comment, I realized that I am indeed arguing Techie, so I'm glad I'm not the only one who so that! It's pointless to argue him, he's as much of a fanboy as Ciro, Kiko, Mxy, and the rest, if not worse. I would love for you to stick to the discussion instead of personally insulting me, but I but I suppose that's asking for too much. I've been completely civil to you, and yet you go ahead and insult me because I dare to find a possible inconsistency in your logic. If the Huawei P20 is an IPhone X copy, then how is the Mate 10 Pro not a Note 8/S8 copy? You say you can easily tell them apart therefore the Mate 10 Pro isn't a copy, but I can also very easily tell the P20 and iPhone X apart. If we went into the real world, which pair of phones do you think people would have the most trouble telling apart? The iPhone X and Huawei P20 Pro or the Mate 10 Pro and Galaxy S8/Note 8? I personally believe the first pair would be easier for the average consumer. If you disagree, then don't insult me but be a mature person and then argue your point. I'm gonna answer this just to prove how blind you are by your fanboyism. Yes you can tell the p20 and iPhone X apart, but no one can deny the fact that Huawei blatantly copied the notch, and also the camera housing design, not to mention the bottom grille. The Mate 10 on the other hand looks nothing like the Note 8, and Blackhawkflys did an excellent job explaining the key differences in the design of both phones. No matter how you look at it, and apart from the materials used, they look completely different from every side of their design. One last thing I need to add, it's extremely tough to have a rational argument with someone who is unbelievably biased towards one company. You're going to stick to the argument instead of insulting me for having a different opinion than you? Thanks. I'm not a fanboy of a single company. I don't know if you noticed, but i have defended Huawei, Porsche, Samsung and the Chinese manufactures in general within these last 3 days, so how am i a fanboy of just one company? The notch was innovated and done first by Essential, so everyone is essentially copying them if anything. I never said that the iPhone X and Huawei P20 Pro doesn't look similar, but i'm also saying that the Note 8 and Mate 10 Pro look similar. Hawk's whole explanation was just that the corners are very different, which i disagree with, as they corners are both curved and look pretty similar. He's right that the Mate 10 has a flat front, but the Mate 10 Pro that i'm talking about has curved glass just like the Note 8. Yeah, it's tough to have a rational argument with a fanboy, but i'm not a fanboy, as i already explained. If i am, then i'm a fanboy of a lot of companies, as i defend a lot of them on this site. That Mate with the curved glass is Mate RS, Note Mate 10 Pro. Even that isn't like a Note 8 or Galaxy S8, yes it does have a curved display but The Note 8 has sharp corners, S8 is very rounded, Mate RS is in-between. If this is how you think Huawei copied Galaxy S8 or Note 8 then Samsung copied LG G6 with the S8. both look very similar from the front. What can a company possibly do to differentiate the front of its phone from the other? Apple did that with a notch. They did a great job then even though I hate the notch. I hate Huawei P20 for its notch and that huge ugly chin. I even bashed it for the camera placement. The notch wasn't invented by Apple, it was done first by Essential, so if anyone is copying anyone at all, then it's companies copying Essential's notch-integrated design. What are companies supposed to do? As you said, when you were saying that Huawei didn't copy Samsung, but that there isn't many ways to differentiate the design. Well, that also counts for when companies have designs that look like Apple's/Essential's. What are they supposed to do? If they use a notch, then people instantly call them an Apple copy cat, even though the notch as a design is 100% Essential's merit. If they don't use a notch, then they're copying the kind of design that Samsung has done first with their infinity design language, if they have curved glass. Apple isn't the authority on the notch, especially because of the fact that they weren't even the first ones to innovate it and bring it to the market. The overblown VW has fallen so far, cooperating with a Chinese maker, ROFL. What? Porsche is an iconic car brand, and that's not even up to debate. Huawei is the 3rd largest smartphone brand in the world, and they've been catching up to Apple at quite a fast pace, so it wouldn't be unrealistic to see them pass Apple in market share in a couple of years, as they're already kinda close. I think you need to dial down the racism, as the Chinese have definitely evolved quite a bit these last 20 years, they make pretty good products these days. This is Porsche design, not Porsche automobile. They are 2 separate companies. 2 separate companies yes but still owned by Porsche. Just like Honor is still part of Huawei. But a design company will design for anybody as long as they pay. This has nothing to do with the car brand or VW cooperating with a Chinese maker. This is a design company do what it has to do, design stuff for clients who pay. I am a phone junkie and had to buy this phone even though it made no sense. I'm so happy I did. There is no phone that compares, thank you Huawei and Porsche Design. The 2 fingerprint readers is awesome, provides the ability to unlock without picking it up, similar to double tap but secure. You can also register different fingers if you want which is cool. Good choice and decision porche design team. Notches is okay if youcan toggle it and you have a Samsung made oled display. Otherwise no thanks.